So good... you'll lick the box! One idea that constantly peeked my Father’s interest was the idea of opening a doughnut shop. He was saddened by the fact that today’s shops are usually run down with oily and low quality product being sold daily. An active CEO up until 80 years old, his entrepreneur’s spirit had created many products in his lifetime. Shortly after he passed, I reminisced about our talks which led me to researching the possibility of opening a doughnut shop. After extensive research (And many Doughnut samplings), I concluded that with the right team, we could execute the idea. Our family has an extensive history with food business, so I knew that the keys to success would be high quality ingredients, consistency in product, changing variety, and friendly customer service. Our name came to me by way of a friend, he said, “how about Pink Box”, I fell in love with the name and knew immediately it was our brand. 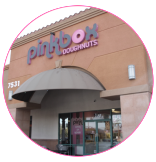 On December 21, 2012, we opened our Lake Mead location… and sold out of doughnuts by noon. Since opening day, customers return a daily to see what surprises they may find. Our selections and medleys are our own and can’t be found anywhere else. Another reason our customers return, is because of our promise of quality, we will never use alternative ingredients to increase profits, so you can always count on high quality taste from Pinkbox Doughnuts. Quality doesn’t stop in our products though, our outstanding team in front and our talented treat creators in our kitchens get praised by management and customers on a daily basis. 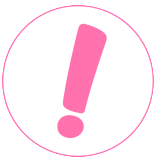 At Pink Box we would love you to become part of our culture, and in return we will provide you with Doughnuts made from the heart. We think of doughnuts as an affordable luxury that everyone deserves! 7531 W. Lake Mead Blvd. 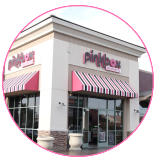 Pinkbox Doughnuts is dedicated to keeping the quality of our employees and service at the top of the industry. View some of our current open positions we’re actively recruiting for and apply online.